China loves to counterfeit, and architecture is no exception. 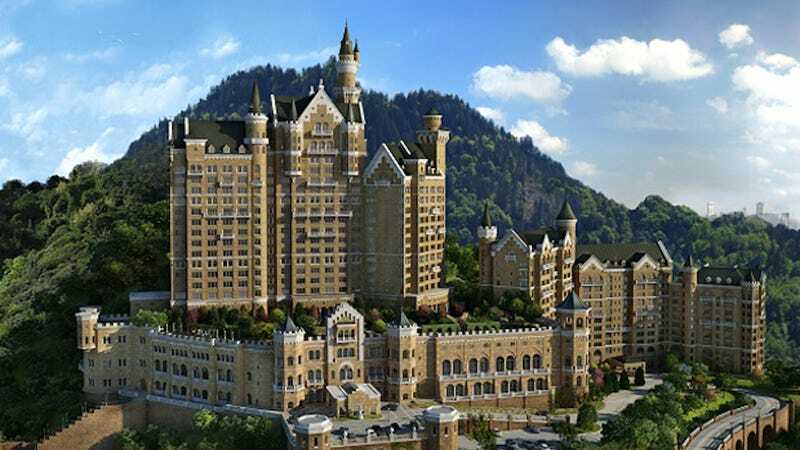 So it was no surprise when a massive, massive German-style castle popped up in the seaside city of Dalian. It's exciting, however, that Starwood Hotels has announced that it will open a giant hotel inside of it. But wait, there's more. In case you haven't heard, China's love of counterfeiting is now happening on a citywide scale. There's a (now abandoned) replica of Paris on the outskirts of Hangzhou, and an entire English-style village called Thames Town—just call it Little London—near Shanghai. In fact, it's hard to keep track of the knockoffs at this point. There are enough to fill an entire book.